Synonyms: frankness, bluntness, sincerity, forthrightness; informal telling it like it is. Using our experience and expertise along with research and analysis, we set forth plans to ensure your success in targeted markets, by providing a strategy that will fit your ultimate goal to sell more seafood. Candor Consulting does this while providing direct feedback that is truthful, upfront and backed by thorough analysis and extensive experience in sales, marketing, production, packaging, importing and logistics. Candor Seafood only represents products that come from companies that exceed safety standards & embrace sustainable practices. We are here to help you bring your product to market by guiding your vision with candor! Marcy combines her love of the water and living a healthy lifestyle with her passion for finding the best way to help individual seafood brands go to market. 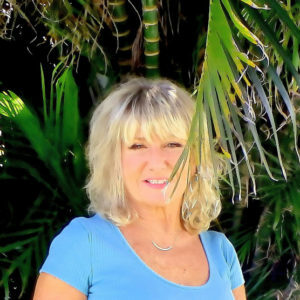 With more than 27 years of retail, food service and club store experience along with expertise in both wild & aquaculture species, Marcy tailors her approach for advising companies and building their brands in the Americas, to align with her clients overall business goals for growth and expansion. As a wife & mother to her two adorable four-legged fur-babies and entrepreneur, Marcy is living proof that when you do what you love and advocate for what you believe in, you can create the life of your dreams. 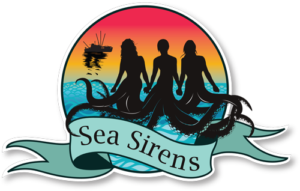 Marcy is an active member and proud co-founder of Sea Sirens. With 4 years of service as a United States Air Force, Intelligence Analyst and over 17 years of professional experience, Jim brings management and operations expertise to Candor Seafood. Through his training in the Air Force Jim learned the importance of pride and integrity, as well as the importance of direct and open communications amongst team members. Jim is also a member and former president of the National Disabled Veterans Business Council. 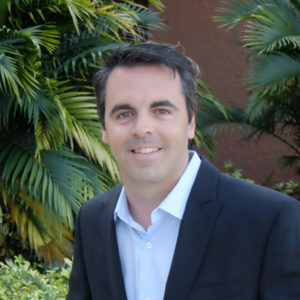 He has assisted in developing a Veterans Training Academy through the Florida Department of Education, as well as a Community Housing Development Organization in Palm Beach County. These experiences have led to his interest in helping business owners in maintaining high standards and achieving their goals through consulting. With a certification as an advanced open water scuba diver, he has a passion for protecting the oceans and maintaining species sustainability. The environment and integrity in business are on top of Jim’s priority list. As a husband and father, the future of our environment is critical to Jim. As a member of Candor Seafood, he will be a cornerstone of our relationship assisting you with building your vision for you and your family’s future. It is rare to find a financial executive who acts as a true partner, who understands how to consult and advise with a focus on growth. Rarer still are the individuals who have an uncanny acumen for being able to build relationships, trust and rapport with CEO’s, solopreneurs and executives of small and multimillion dollar companies alike. Barbara Jean (BJ) Militello, Chief Financial Officer, MBA, EA is one of those rare business professionals. With more than 20 years of financial experience in the private sector and representing international companies, BJ has an eye for numbers and head for business. Using her extensive knowledge of U.S. accounting and accounting standards, tax law, payroll and business regulations, BJ delivers leadership and operational value to her clients. As committed and dedicated to her clients as she is, BJ is equally enthusiastic of the water. A scuba diver since childhood and dive instructor, BJ has traveled the world diving. Her love of the water goes beyond sea life, as a recognized officiant, BJ performs underwater wedding ceremonies. You can find pictures on her Divergirl…come dive with me Facebook page.